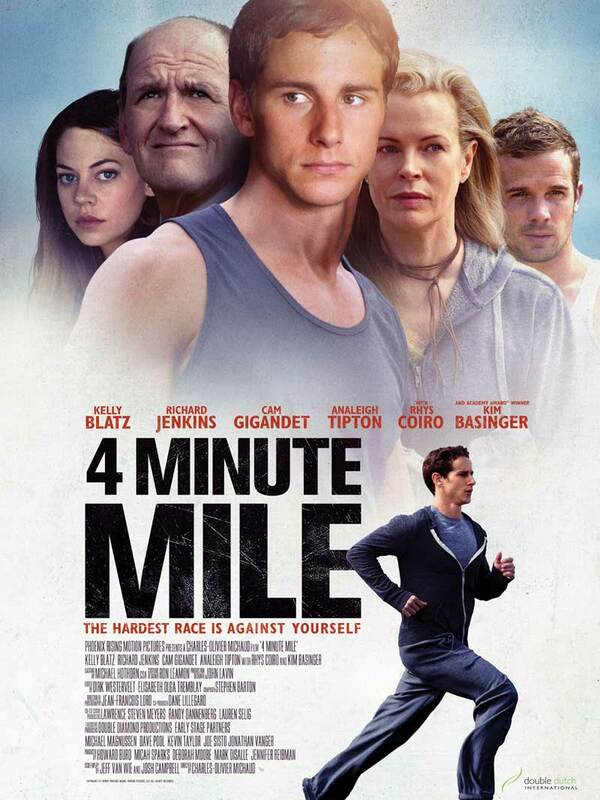 4 MINUTE MILE is the inspirational story of Drew, a high school student struggling to overcome the inner-city surroundings that threaten to imprison him. Just as it seems hopeless, an ex-track coach with his own demons witnesses Drew’s speed and athleticism and decides to train him to reach for more than he ever imagined possible. Together they work towards finding solace in each other but Drew’s resolve is threatened as tragedy strikes right before the biggest race of his life and forces him to confront everything that has been holding him back.